Gearing up for the AP Chemistry exam? 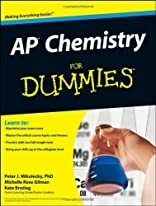 AP Chemistry For Dummies is packed with all the resources and help you need to do your very best. This AP Chemistry study guide gives you winning test-taking tips, multiple-choice strategies, and topic guidelines, as well as great advice on optimizing your study time and hitting the top of your game on test day. AP Chemistry For Dummies gives you the support, confidence, and test-taking know-how you need to demonstrate your ability when it matters most. About Peter J. Mikulecky PhD (Author) : Peter J. Mikulecky PhD is a published author of young adult books. 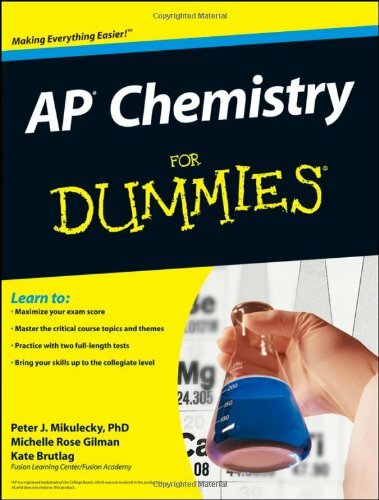 A published credit of Peter J. Mikulecky PhD is AP Chemistry For Dummies (For Dummies (Math & Science)).